This introductory 1-hour webinar presents the essential basics for designing and building your own custom, energy-efficient greenhouse for year-round food production. Energy-efficient greenhouses enable you to grow your own food year-round, without relying on fossil fuels or transported foods. We cover the basics of passive solar greenhouse design and renewable / sustainable climate control methods. 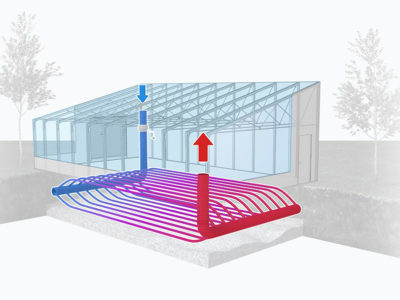 A Ground to Air Heat Transfer system can provide sustainable heating and cooling for year-round greenhouses by taking advantage of passive solar heat of the greenhouse and the thermal mass of the soil underground. While simple in concept, GAHT<sup>TM</sup> systems require the right materials, layout, and installation to be effective renewable energy heating and cooling system for efficient greenhouses of all sizes. This webinar will address how a GAHT<sup>TM</sup> system works, it’s major components and gives an overview of how to install one. 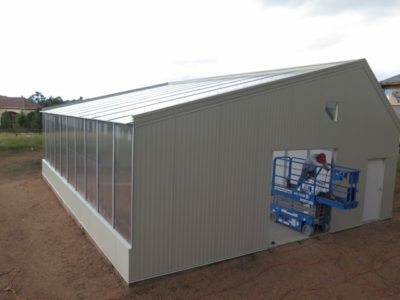 Energy-efficient commercial greenhouses normally require a building permit and multi-stage construction process. Learn how to approach this process with our webinar for first-time commercial growers. We give tips on navigating the permitting process, and setting up a construction schedule, as well as resources for budgeting the project. 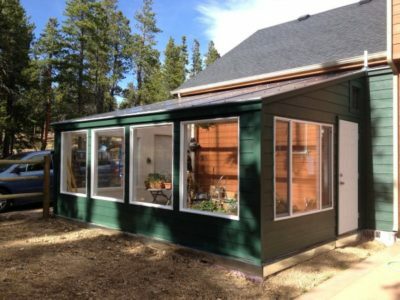 How do you create a durable, long-lasting, year-round greenhouse that lowers your energy requirement and fits your aquaponic system? 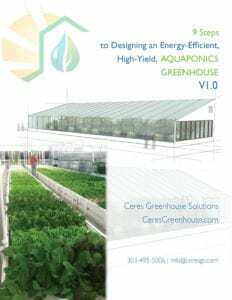 Our free e-book, “9 Steps to Designing an Energy-Efficient Aquaponics Greenhouse” — shows you how.